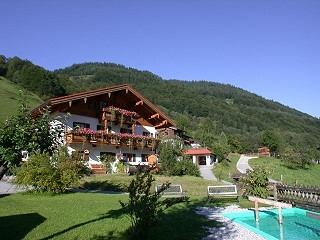 Our lovingly maintained farmhouse is situated on the south side of the valley of Ramsau with plenty of space around it and a wonderful panoramic view of the mountains (e.g. Watzmann). A house with a long tradition - first mentioned as early as 1386. Our Mayringerlehen is an organic farm with cows. Also chickens and rabbits belong to the farm. 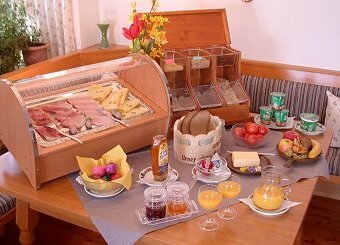 Start your day with a delicious breakfast buffet, where you also find organic and local products. 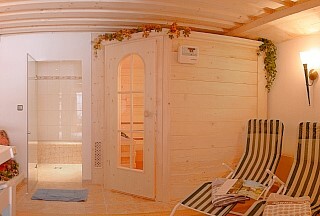 For your wellbeing we offer a wellness area (alpine sauna, Roman steam bath, solarium) and front of the house a Kneipp basin. Beside the house there is a sunny lawn, a barbecue, a children's playground and many animals. A covered table tennis is also available for our guests. In the house you will find a cozy lounge with traditional tiled stove, cold drinks, a microwave and pizza stove. In addition, guests will have a washing machine and dryer available. The house is an ideal starting point for any hiking, mountaineering and mountain bike tours ranging from easy to difficult. 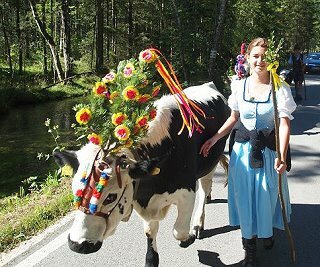 Countless excursions enrich your vacation (Königssee, Eagle's Nest, Salzburg etc.). The tourist information office, a bakery and restaurants are in close proximity to our house. 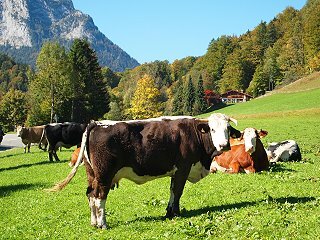 Our mountain pasture on which our cows spend the summer period is within the Kalbrunn alps and is designed for hikers and mountain bikers a wonderful tourist destination. The Kalbrunn alps lie at about 1400 m above sea level and can be reached from Hirschbichl (bus station) within about 2 hours walking distance. We are pleased to welcome you soon.